With 90km of pistes for all levels of skier and snowboarder, Saint Jean d'Arves is a little smaller than its neighbouring resort of Saint Sorlin, but for those wishing to explore a larger area you can enjoy the whole Sybelles ski domain where you have access to 310km of pistes and 74 lifts. 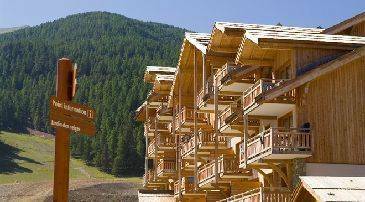 We at Madame Vacances invite you to stay at our Residence and Chalets La Fontaine du Roi, which has a great range of chalets, apartments and studios to accommodate all types of groups. The great snow sports are not the only activities on offer in this small but traditional village, during the summer months guests can enjoy trips to the nearby donkey farm and fromagerie, as well as hikes around the mountainous area.